Several friends had told me not to miss, Manzanar, which was the “Relocation Camp” or Internment Camp for the Japanese during World War II. 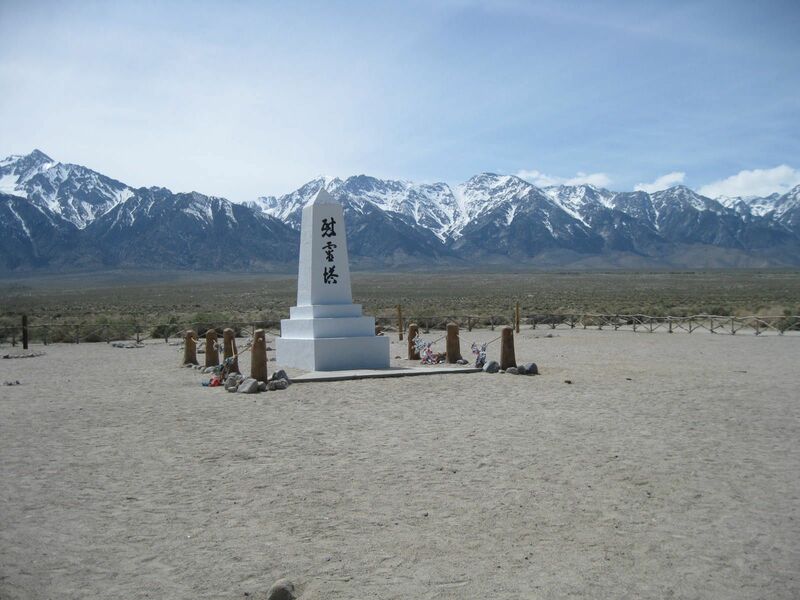 It is located just north of Lone Pine, California. I think that the extent of what I was taught about this subject in high school was that the Japanese in the US were rounded up during World War II. End of subject. I had no clue of what that really meant. 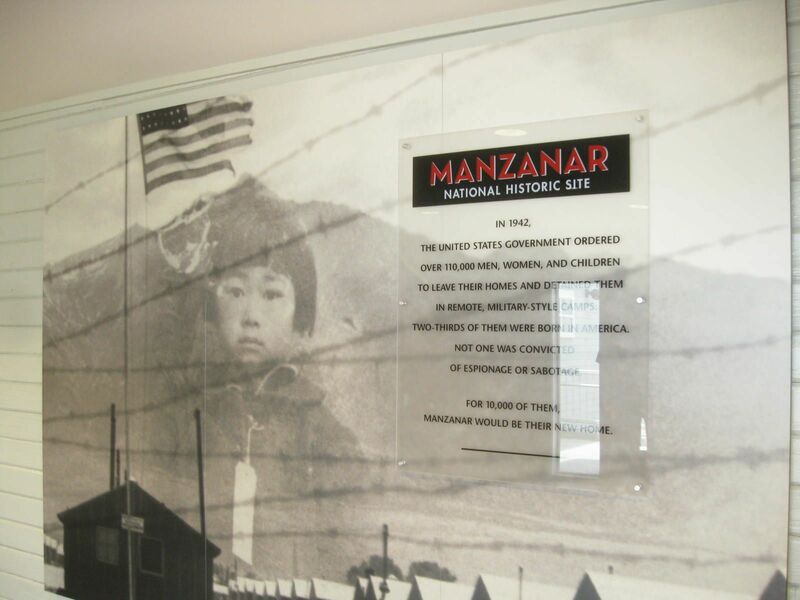 I had no idea that we rounded up folks of Japanese descent from age 90 to just a few months of age, took them away from their homes and kept them in camps with guard with guards. I was both shocked and disheartened at all that I learned at this National Historic Site. 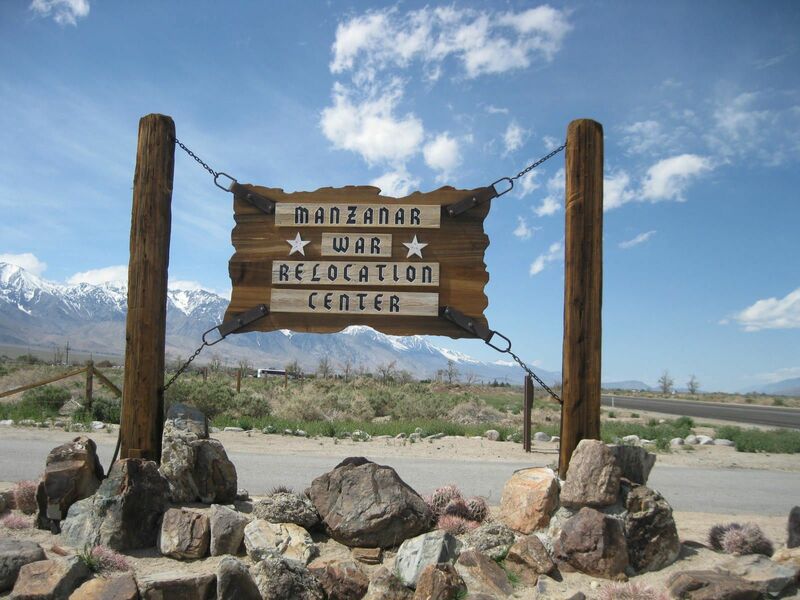 Manzanar is just one of several of the ‘relocation’ camps in the US. 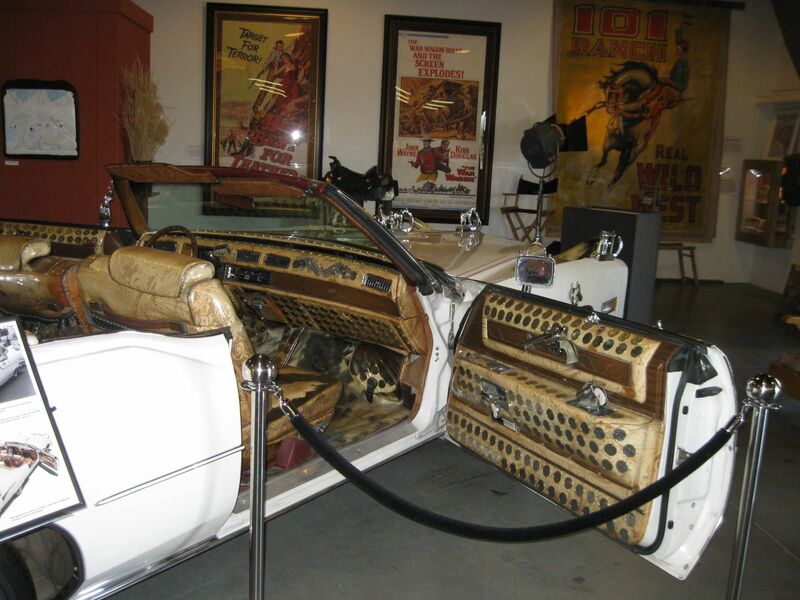 The informational movie and the museum are very well done. I was happy to see a couple of school groups there, learning things I had not at their age. I like the slogan there “Lest we forget..” I highly recommend checking out the museum at this site if you are in this area. 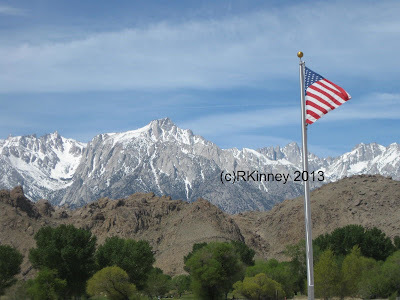 I rolled into the Boulder Creek RV Park in Lone Pine, CA before 8 a.m. I was grateful they let me in so early. I was hooked up and ready for a nap before the winds were suppose to get really bad again. 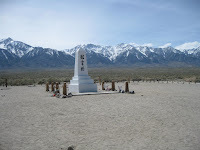 Lone Pine is along Hwy 395 in East Central California just to the north of Owens Lake. 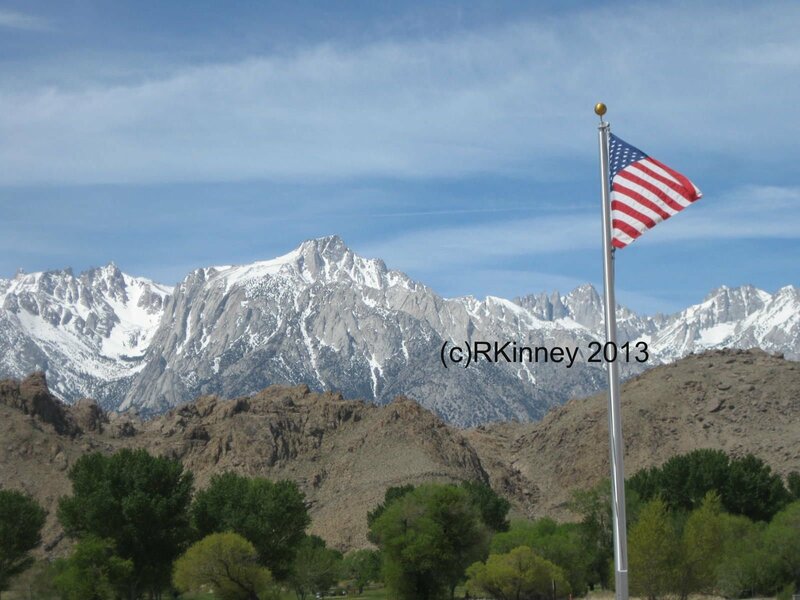 Mount Whitney, the highest peak in the Lower 48 is just to the west and Death Valley, the lowest point in the lower 48 is just to the east. 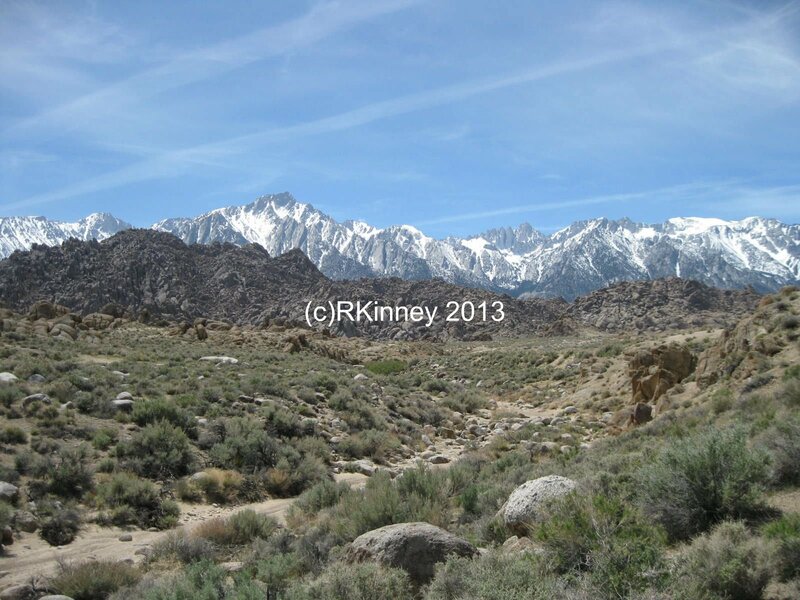 The snow capped peaks here were beautiful and very refreshing to this mountain girls soul after months in the desert. The Mount Whitney Portal road was closed few miles up from 395, but I was able to get up far enough to smell the pines and have lunch next to a rushing mountain stream. Deep breath ... ahhh .. heaven! 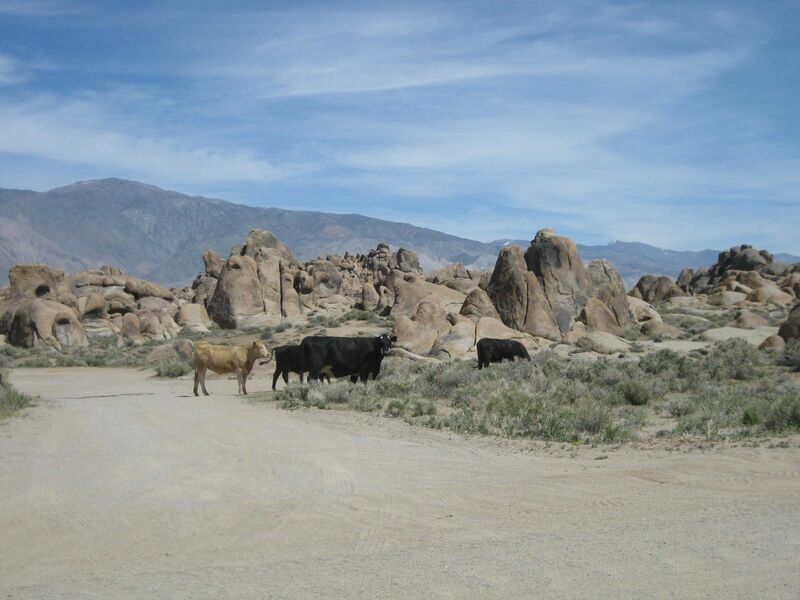 I explored Alabama Hills BLM area while here. I has served as a set for many movie and tv series. Many of them, ones that I were before my time, like Hop-a-long Cassidy and Gene Autry. There is a visitor stop that talks about all the filming done here and a film museum in the town of Lone Pine. I was more interested in the unique topography and flowers. The dry, deserty boulders and unique rock formations with the Sierra Nevada backdrop was kind of cool. 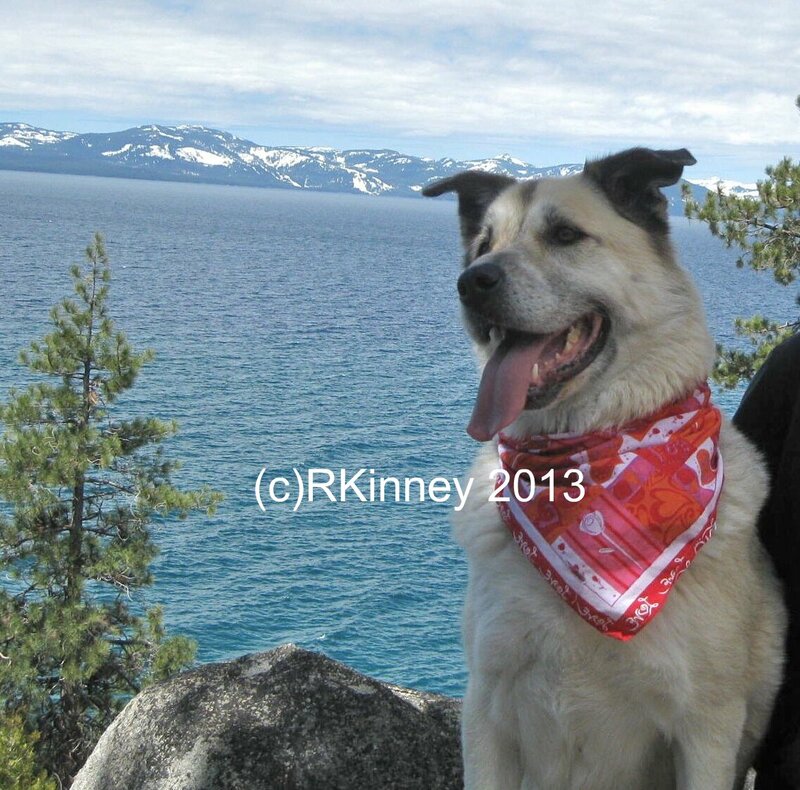 Dog and I spent an afternoon climbing amongst the boulders. There is dispersed dry camping here and I considered a move here, but after checking the weather and seeing wind warnings in the forecast yet again. 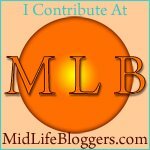 I decided against it. Maybe next time I’m in the area. It certainly is pretty here and there are several spots big rigs can fit in. 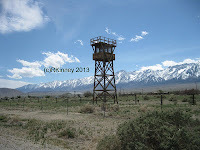 The Lone Pine Visitors Center was very nice and had lot of free information on the area. There is a charge for the Film Museum.